Discussion in 'trade discussion' started by sjs, Jul 13, 2015. Great news....... You can help me carry in my speakers on setup day. A friend of mine brought the Arcadia phono and matching line pre amps, round one evening many years ago, they were superb. Didn't know you serviced Voyd turntables, another friend has one in need of some TLC . I used to have a voyd .5 reference ,but sold it regrettably , it was a fabulous deck . My friend has an earlier voyd with a psu like the top one, it's stopped playing at 45 rpm. The original Model 1 and 2 preamps, and the newer Model 7 preamp were all designed to work with valve power amps with a 100 kOhm input impedance. They can be used successfully down to 50 kOhm, but I wouldn't recommend them for amps with a 20 kOhm or 10 kOhm input, which is now typical among a lot of solid state power amps. This recently led to a challenge being presented when I was asked to develop a line stage preamp which could be used with a 10 kOhm input solid state power amp. Having thought about this I came up with two prototype amps rusttled up from parts left over form other amps, including a pair of rejected top panels from the Oyide headphone amps. The first one uses a triode strapped 8608 pentode, to give a low plate impedance high gm triode, using custom made double C-core output transformers with a centre tapped secondary to provide a balanced or single ended output. The second amp uses a 6EW7 double triode. The two triodes are dissimilar, and this uses the 2nd triode which has a mu of about 8 and plate impedance of less than 800 ohms. It is used with a choke load on the anode and output coupling caps. In the interest of fairness, both use the same mains TX and psu choke, both use a 5Y3 rectifier, with choke input and Mundorf HV+ cap, followed by an LC filter to each channel. They have many similar characteristics, but also interesting differences. He has a number of excellent 45 rpm lps, so is sending it off for repair. Lovely looking amps those, I really fancy getting a triode amp again this year. Hope he gets it sorted and can listen to his singles. 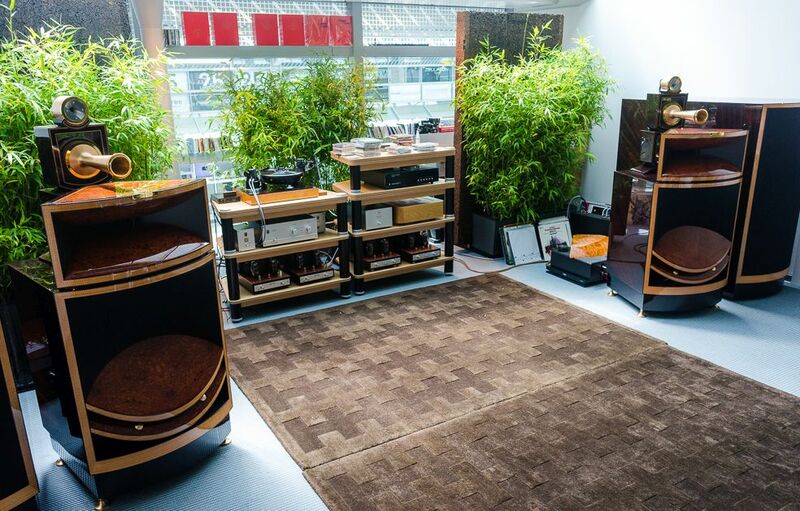 SJS amplifiers are timeless, much like Voyd turntables. Keep up the good work. chris@panteg and hifinutt like this. hifinutt and Take5 like this. A couple more Voyd power supplies that were in need of some tlc. On the left a late version split phase PSU which had failed on one phase. As it is about 30 years old, all the electrolytic caps were replaced, along with the darlington outputs and the small FETs. A couple of the resistors have a tendency to overheat, so they have also been replaced with higher power types. On the right is a very old PSU, about the oldest type I have seen to date. The design and layout are both very different from the later units, but unfortunately it had a history of failure so it was decided to rebuild it as close as possible to the final design, like the unit on the left. This meant a new mains tx to reduce the rail voltages, replacement of all the old electrolytic caps, the addition of voltage regulators for the oscillator and preamp stages, and a complete rebuild of the power stage. The confined space and design of the original layout made it an interesting challenge, but all seems to have worked out nicely. It is two years since the first of the new SJS Arcadia Model 7 linestage preamplifiers were developed. 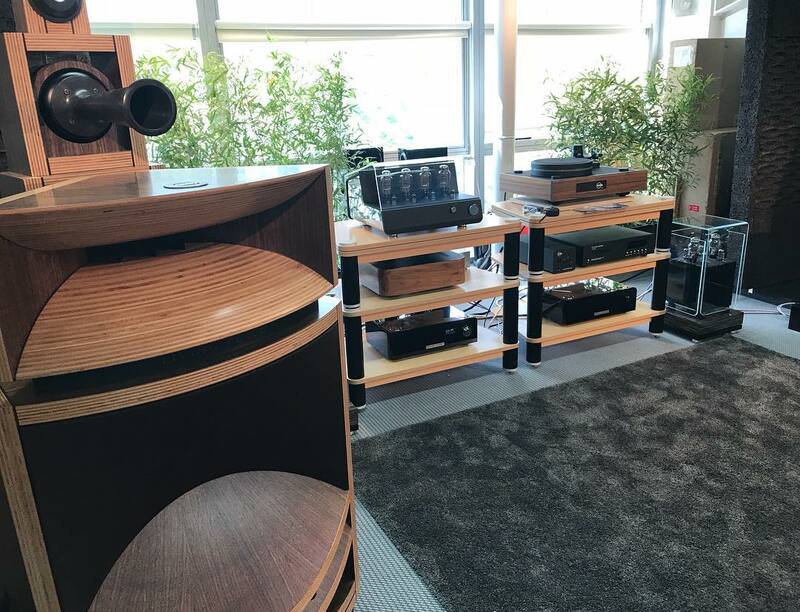 During this time we have continued with research and development to further refine the musicality of the amplifiers, as well as offering both a Standard and Enhanced version of the design. Rosewind and hifinutt like this.